Yes, I want to help make a stronger and healthier community! Because of you, we helped over 101,000 people in our local community. You helped feed more than 750,000 people in need. and close to 900 children received literacy support and tutoring. A woman came into one of the local shelters with her five year old daughter. In addition to the abuse her father had inflicted on her mother, this little girl had endured abuse at the hands of him and his new girlfriend. The child was quiet and clung to the mom, reluctant to let her go out of sight. After a couple of weeks into the program, the child began to warm up to staff. The girl had a strong desire to go to school and found her voice in the safety of the shelter. 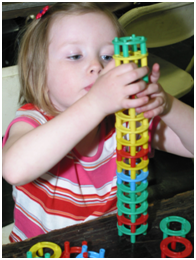 The child is now thriving in Head Start and her mom is thrilled with the progress. 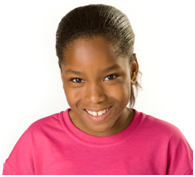 Thanks to United Way supporters, one more child has escaped the horrors of abuse. Meet Arlene, an ambitious eighth grader who is living in the city of Newburgh, where one of the highest instance of teen pregnancy exists in New York State. Gang violence and crime plague the streets which makes Arlene’s home life not so pleasant. Arlene has a sibling who has battled with drug addiction and her family is struggling financially. All factors do not bode well for Arlene’s future. But you are changing the odds! Thanks to United Way, Arlene had the opportunity to participate in “Too Good for Drugs.” A United Way funded program that works to strengthen collaboration among all facets of the community and lowers substance abuse among youth. In one class, the educator used a visual that included pictures of two human bodies. One body was substance-free and the other body suffered damages from substance use. Arlene says that the picture is forever engraved in her mind. After the 10-week program, Arlene says her confidence has grown tremendously. She learned how to respond to peer pressure that involved drugs or stealing. Thank you for your support of United Way!